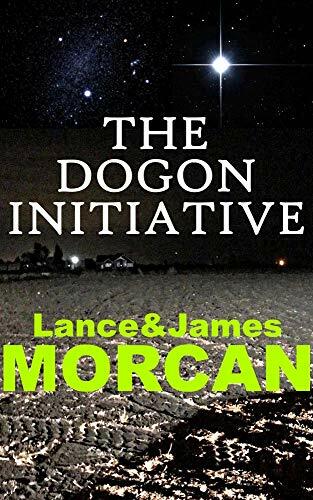 The countdown continues for the upcoming release of the action-thriller novel THE DOGON INITIATIVE, book one in The Deniables Series, by Lance and James Morcan, authors of The Orphan Trilogy, White Spirit and Into the Americas. Coming soon… another Morcan novel for thriller fans. In THE DOGON INITIATIVE the CIA hires foreign mercenaries to right some of the injustices happening around the world. They’re deniable assets, which means no-one’s coming to help if a mission goes pear-shaped. They’re known as the Deniables. A suspicion was beginning to form in Hawkins’ mind. He suspected the so-called client was a foreign intelligence agency. America’s NSA and CIA came to mind, as did Britain’s MI6, Israel’s Mossad, France’s DGSE and South Africa’s SASS. The Kindle ebook version of THE DOGON INITIATIVE will be released soon.